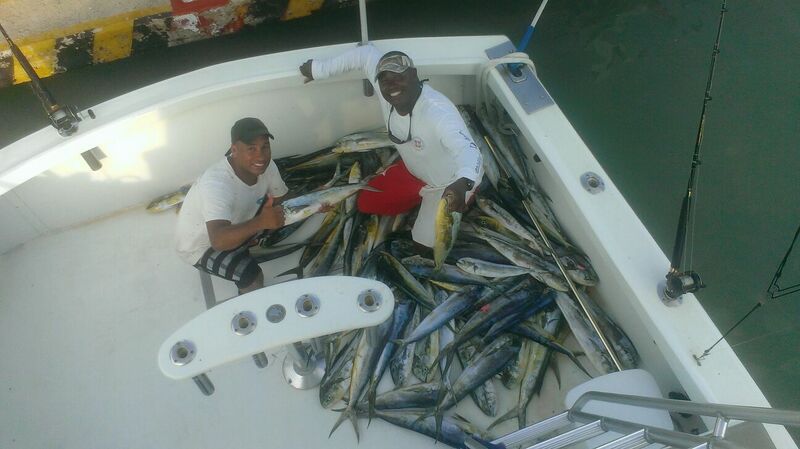 Call or Email us to book your fishing charter! 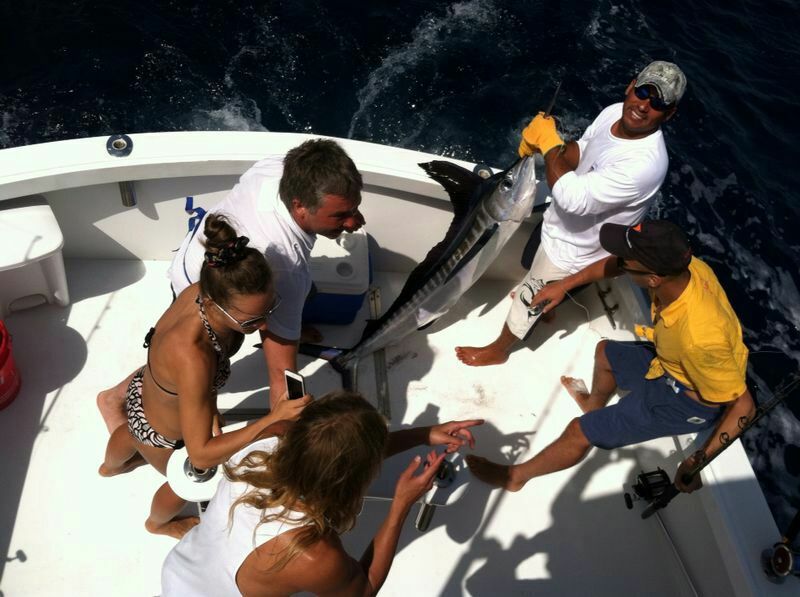 Concerning Deep Sea Fishing, the east coast has some of the best fishing on the island. 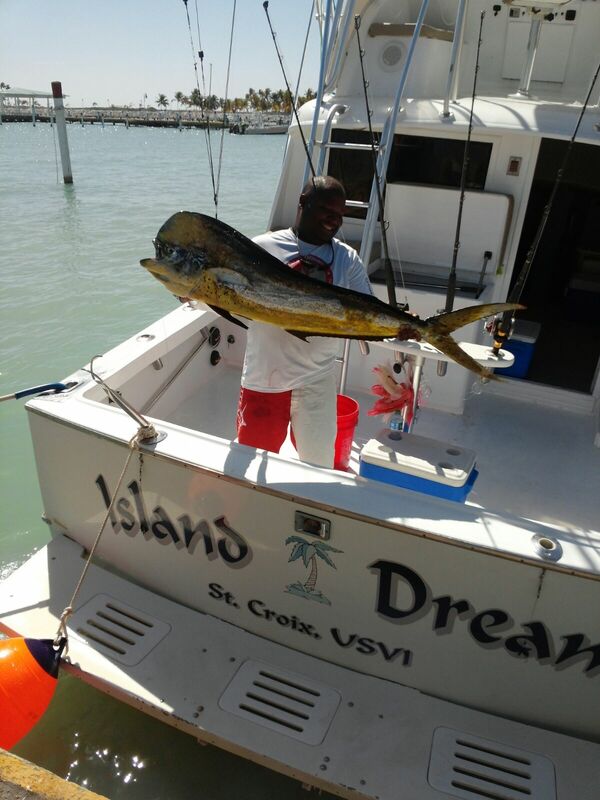 From Punta Cana we are able to start fishing just 3 miles out. 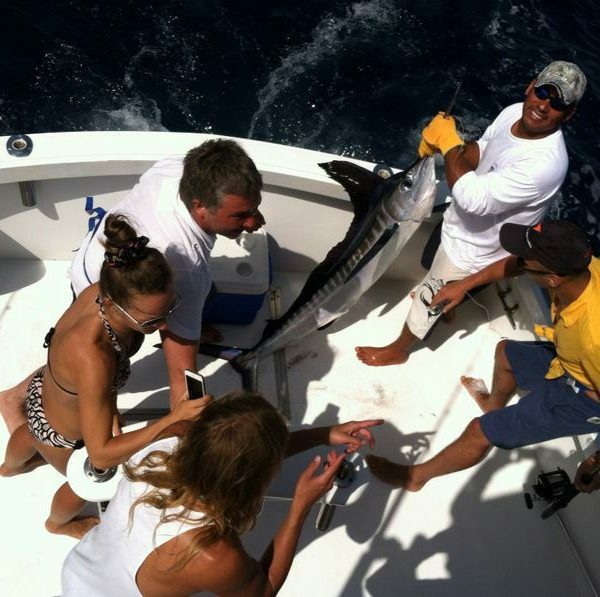 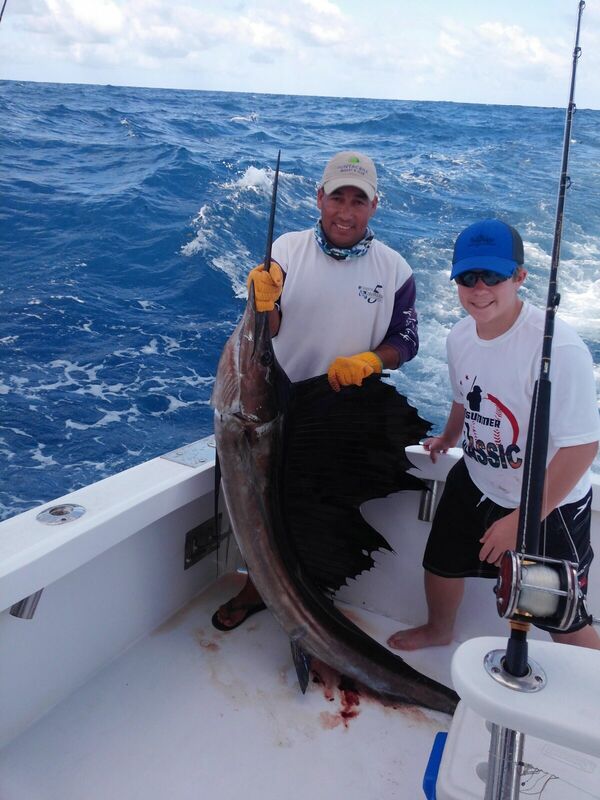 We only offer private charters allowing us to provide the best fishing experience catering to individual needs. 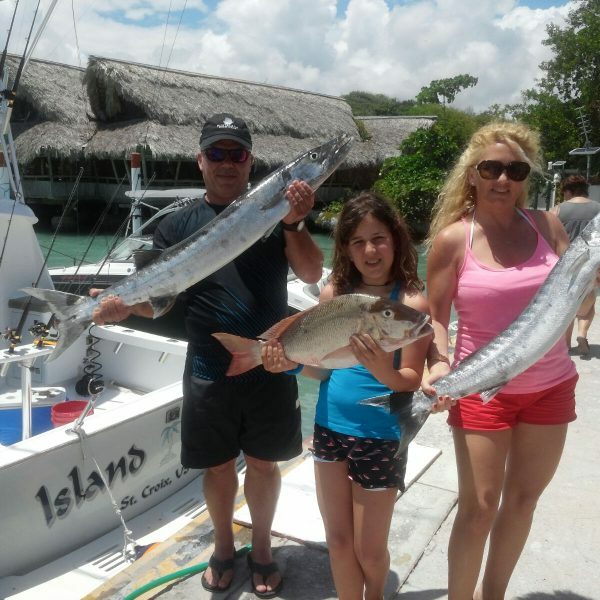 From beginner to advanced levels, we offer fishing adventures for any angler. 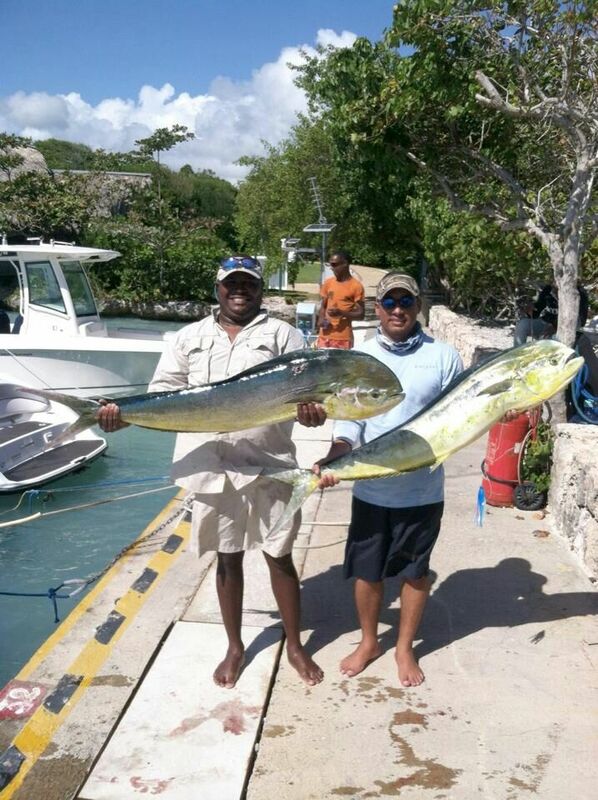 So welcome, get ready for a fishing experience of a lifetime. 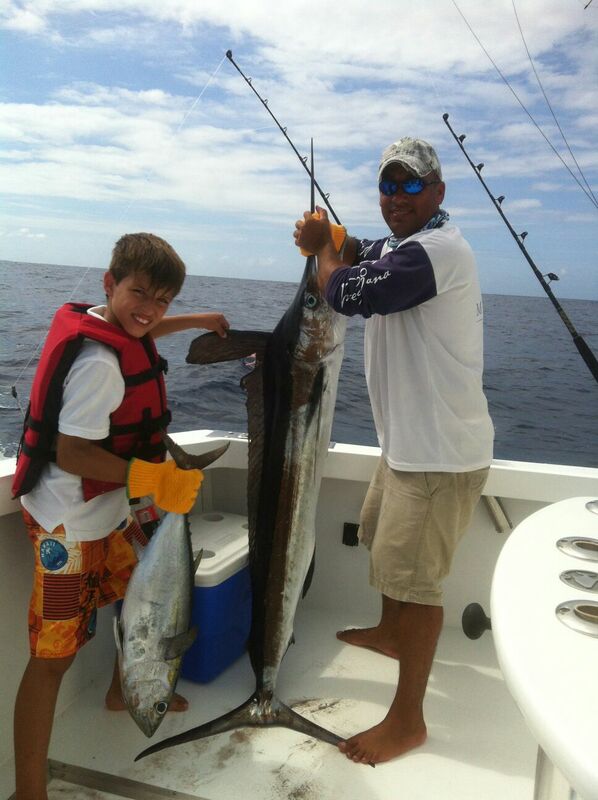 Our main focus is to provide the best service possible, while keeping the activity safe and fun. 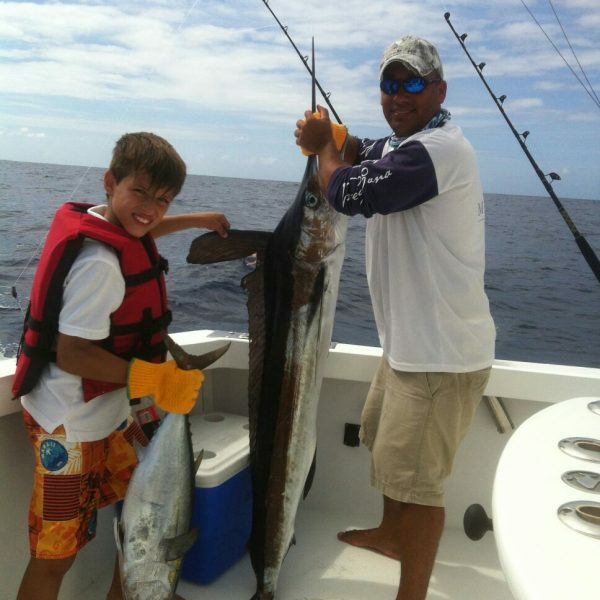 Your fishing trip starts as soon as we are 3 miles out, you won’t have to wait a long time to start catching some fish and really enjoy your trip. 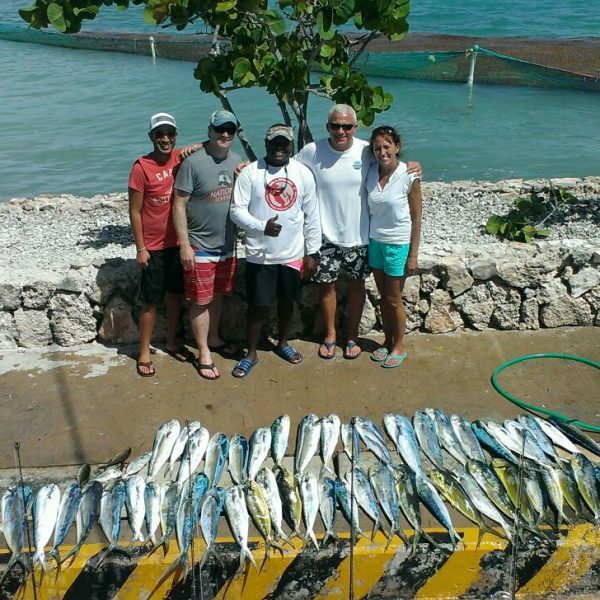 Once the trip is over, the customer gets first choice on everything they catch. 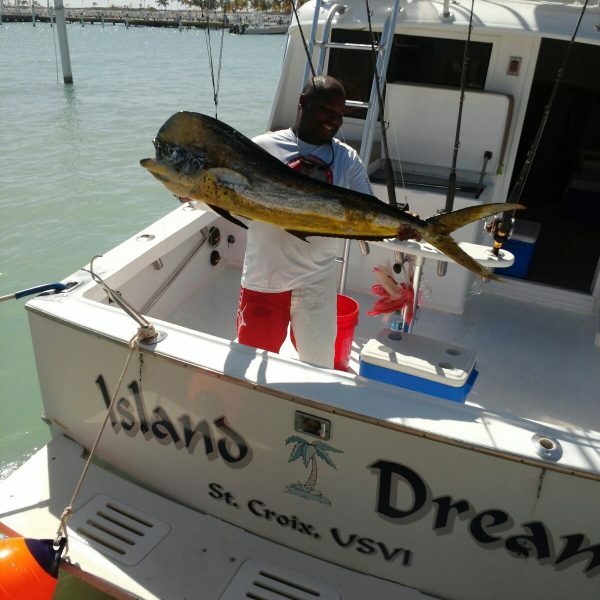 Our staff will filet the fish for you to be taken away for a nice fresh meal. 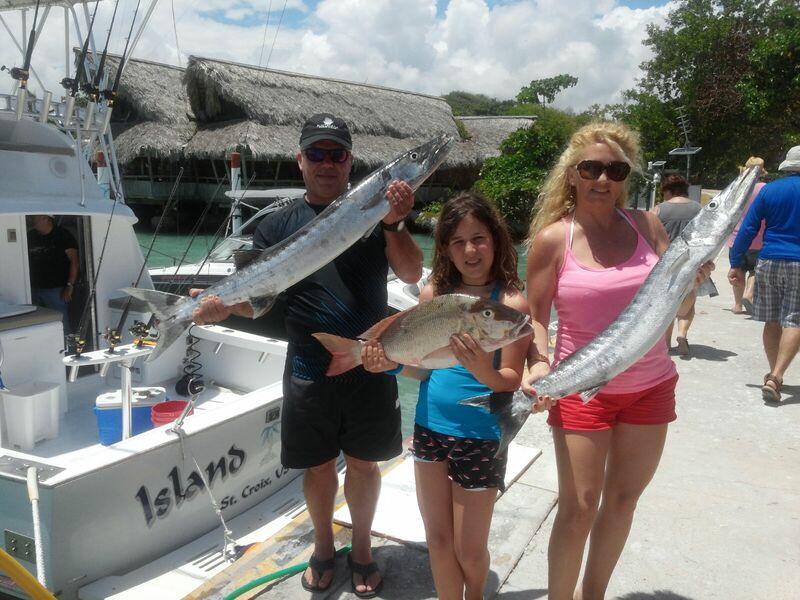 We provide state of the art rods, reels, tackle, bait, ice,beers, water,non alcoholic beverages,snacks and a talented 1st mate to see to your every need. 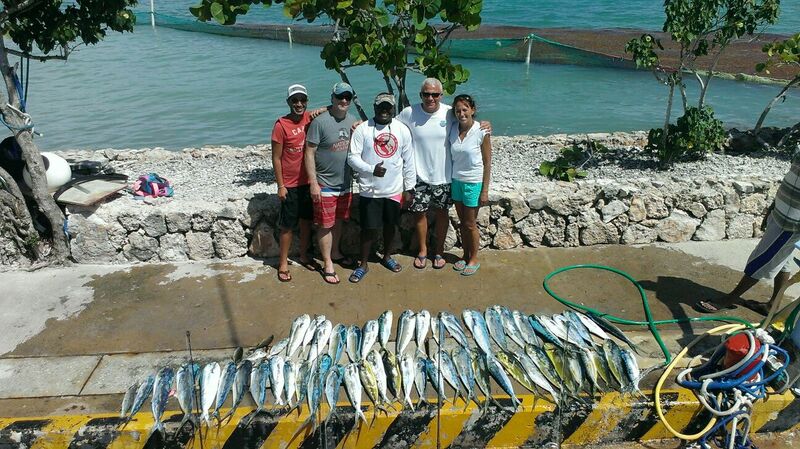 Our Captain and crew have logged thousands of miles along the coast of Dominican Republic. 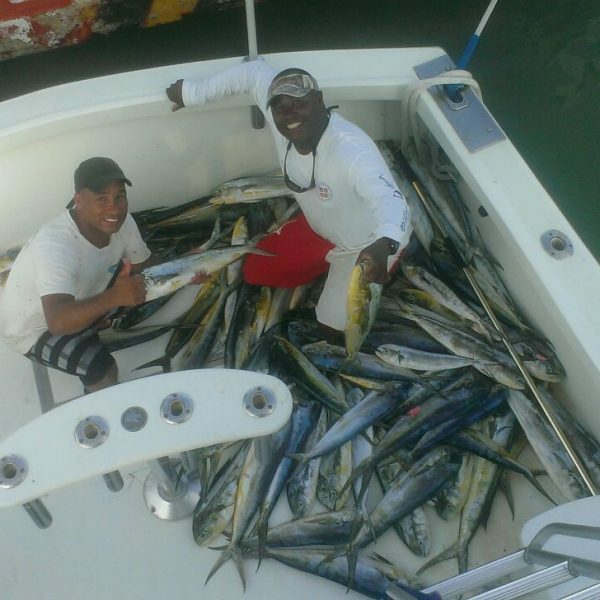 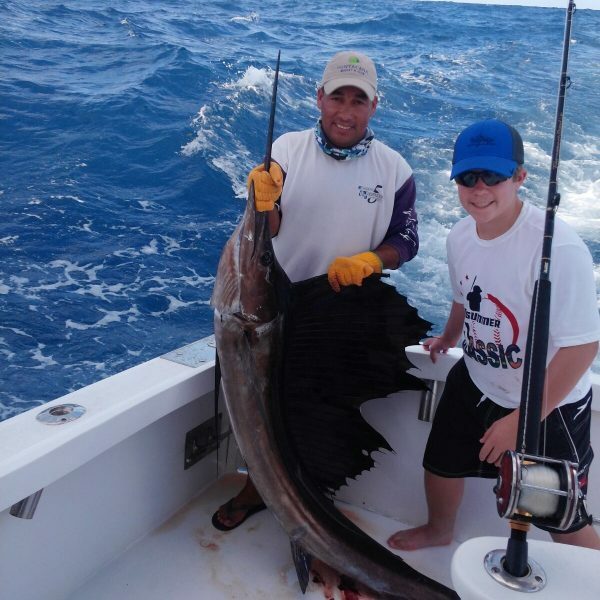 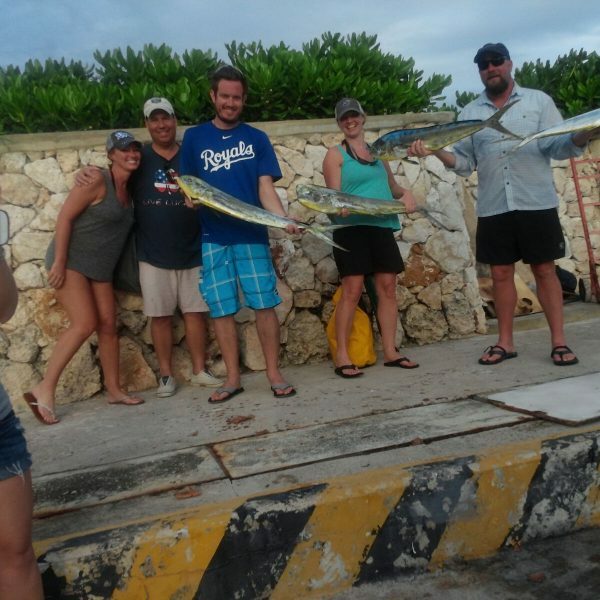 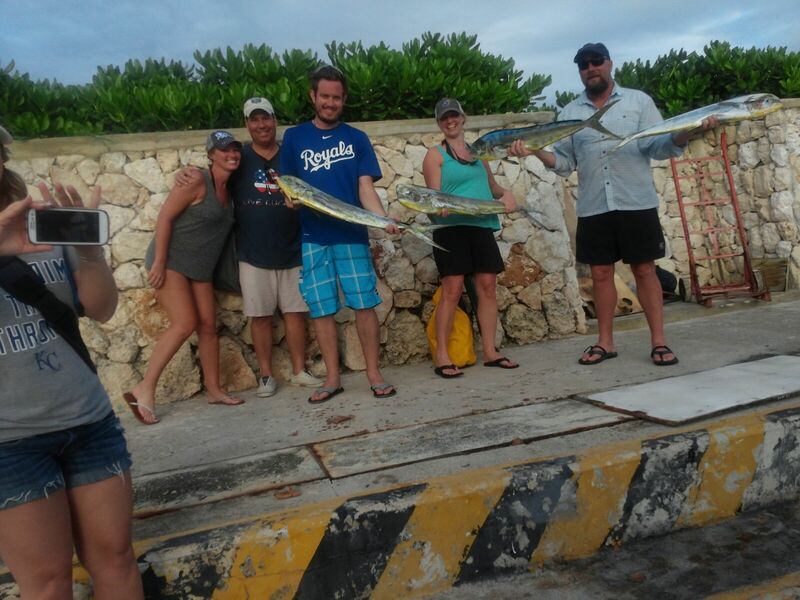 With years of experience especially in the east cost of the dominican republic they have mastered their deep sea fishing skills and the waters off the coast of punta cana. 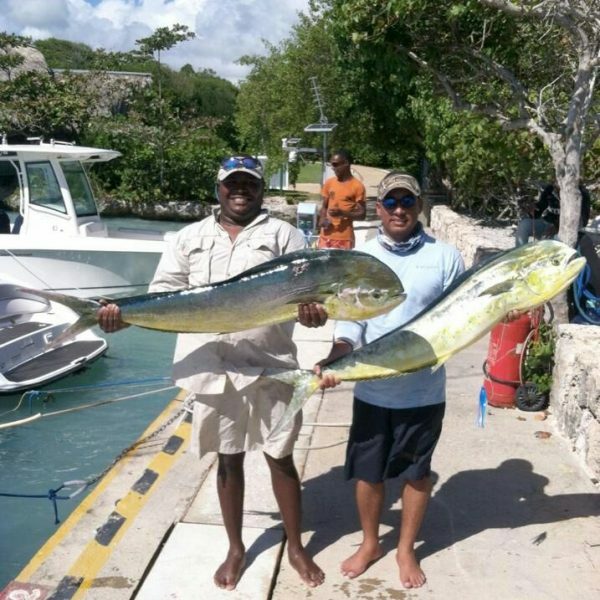 Rest assured, you will be in the hands of a reputable Captain and crew that will work together to make your fishing trip the best experience possible.